For two hundred years, British slave ships plied the Middle Passage, taking African men, women, and children to their doom. Ending slavery in the mighty British Empire seemed like an impossible dream, but once William Wilberforce resolved to represent the abolitionists in Parliament, he would fight to the bitter end-for nearly half a century-to achieve that goal. 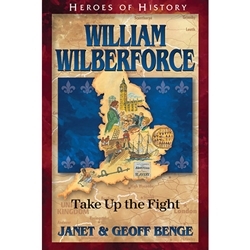 Together with a community of dynamic reformers, Wilberforce struggled to rid his nation of evil and to give dignity and freedom to all people-slave and slave trader, poor and powerful. His example continues to inspire others to use their gifts and influence to do good against the odds (1759-1833).